The Buddha rose above the extreme positions of Brahmanism and Sramannism and propounded his middle way, law of karma and transmigration without permanent soul to migrate. He gave thus a new turn to the ethical and philosophical thinking of the time. Brahmanism upheld the efficacy of karma and transmigration and permanent soul that transmigrates with resultants of karma. 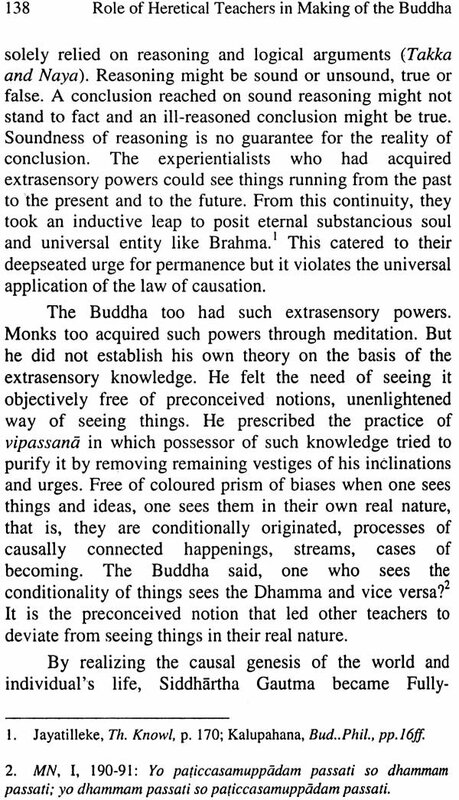 On the other hand some heretical teachers of Sramanism denied the efficacy of karma and believed in determinism. Another was materialist who denied after birth. Yet another laid excessive emphasis on rigorous penances and moral laws and presented a synthesized view of soul as both permanent and transient. This study has gone a long way to analyze the text of heretical views and assess their role in making of the Buddha and his teachings and also show whatever differences there are in the text of Pali and of Chinese, are due to oral transmission of early scriptures. Inadvertently some portion of one's teachings went in name of other holding similar views. An alumnae of the University of Delhi, Dr Parmita Shekhar is a bright young scholar of Buddhism, interested particularly in comparative study on topics presented in the Pali and corresponding Chinese texts. She did M.Phil and PhD from the Department of Buddhist Studies and the course of Post-Intensive Diploma in Chinese from the Dept. of Chinese. Before that she did B.A. (Hons) in Pali from Magadh Univ., Bodh Gaya and M.A. in Pali from the Institute for Study and Research in Pali and Buddhism, Nalanda. As she has easy access to Pali and Chinese scriptures, her researches based on original Pali and Chinese materials give some new information on the divergences in the corresponding texts of early Buddhist teachings and new insight into the compilation of early Buddhist scriptures of different schools. The present work is in fact a revised copy of the thesis submitted to the University of Delhi for Ph.D degree in 2003. 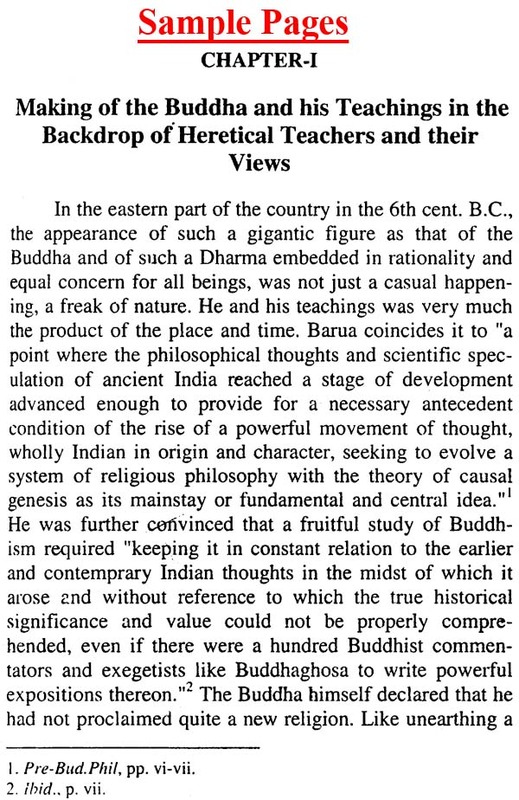 Dr K.T.S.Sarao was on the chair of the Department of Buddhist Studies, when I proposed to work on this topic. On his good advice Dr R. K. Rana and Dr Bhikshti Satyapala agreed to supervise the work. At every step of this work they readily spared their valuable time to discuss things. Without their help the work would not have been in the form it is now going to be before the readers. The author owes to them sincerely her gratitude and indebtedness. Other teachers and colleagues at the Department also at times shared their knowledge and experience in formal writing and helped in preparing the drafts of the thesis. Her heartfelt thanks are due to them. It would be a great injustice if she fails to acknowledge help received from elsewhere in improving the thesis, literally and in methodology. She is profusely thankful. Taking it as an opportunity she fondly remembers and feels indebted to the members of her family who always encouraged her going for higher studies. Lastly her thanks to the press for taking it to the readers. 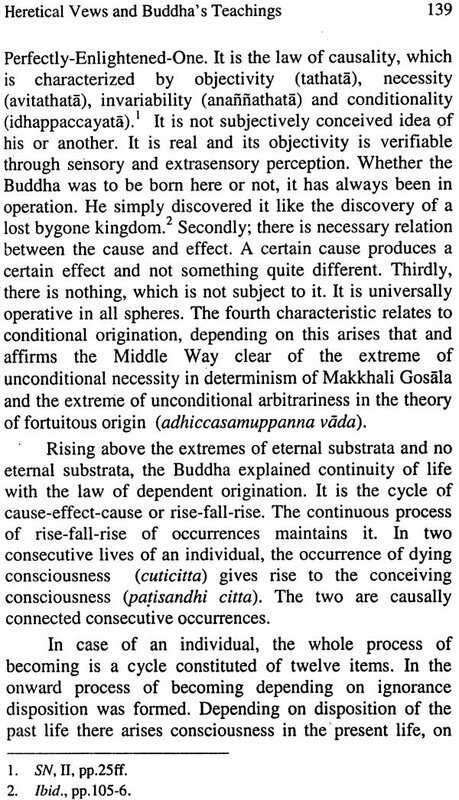 The present work is designed to study the heretical views as the necessary antecedent condition in making of the Buddha, his teachings and his religious movement. The Pali term titthiya is an equivalent of heretic or heretical teacher and titthiyavada of heretical views. The Sanskrit term for titthiya is tirthika (pilgrim) and the Chinese term, wai dao (non-Buddhist). The meaning of heresy is given as "opinion or doctrine at variance with the orthodox or accepted doctrine, asp. of a church or religious system"' and heretic is given as "a professed believer who maintains religious opinions contrary to those accepted by his church or rejects doctrines prescribed by his church". It means that a heretic or heretical teacher beongs to the same circle and living within holds heterodox view. 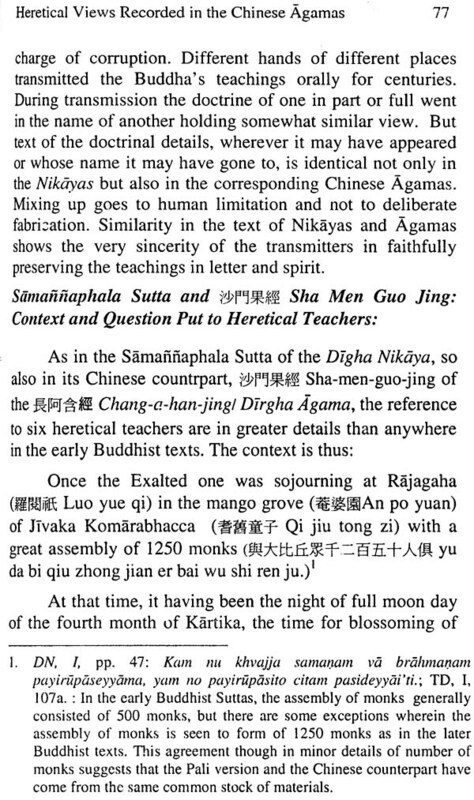 There were six heretical views (titthiyavada/ wai dao jiao) propounded by six heretical teachers (wai dao liu shi). It was the early Buddhist scriptures, which called them and their views heretical because they were not of the Buddhist fold. But seen in the broader Indian context of the time they were not outsiders either. In the 6th century B.C. when the Buddha as prince Siddhartha appeared, two religious currents were flowing side by side. One was of Brahmanism and the other was of Sramanism or Asceticism. Siddhartha was born and lived one third of his early life in the Brahmanic society. He came out of it and joined the Sramanic fold. He realized Bodhi and became Buddha. He framed his own teachings and preached them. With him came a sharp turn in the religio-philosophical thinking of the time. His approach was free from dogmatism, rational and scientific, and the goal of life was attainable through own efforts in this very life. 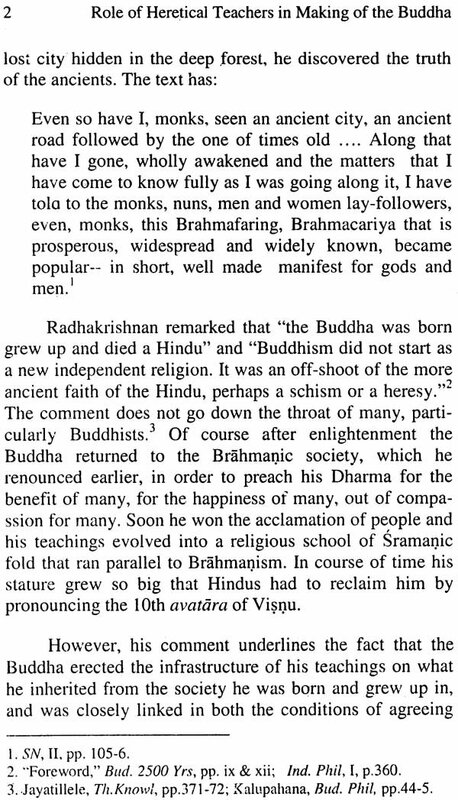 In the making of the Buddha and his teachings, Brahmanism and Sramanism both played important roles. Brahmanism literature is available to us to assess the role of Brahmanism. In fact he imbibed things of Brahmanism from his childhood. He retained some and discarded others. He gave a new meaning, new context to what he retained. He also did the same from Sramanism, but the Sramanism literature is scarcely available to assess its role. 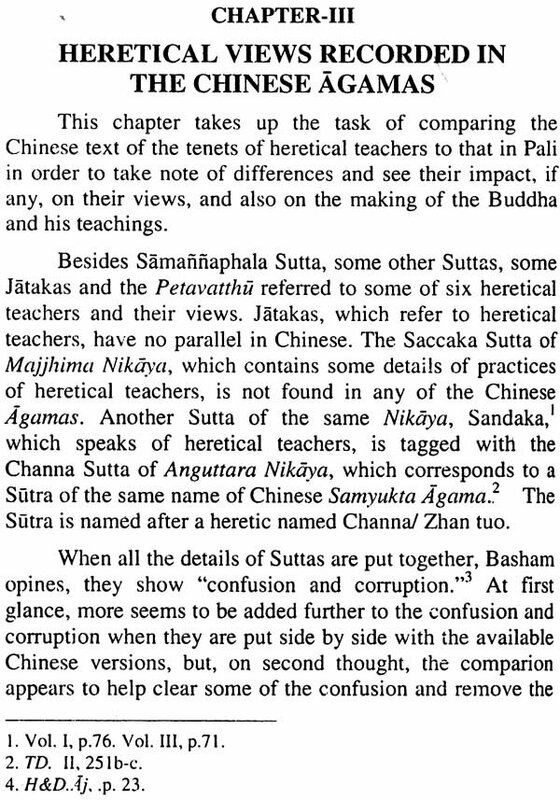 Information about heretical teachers of the Sramanism fold has to be gathered from the early Buddhist literature itself and some also from Jain literature. 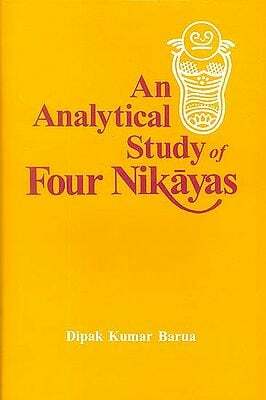 Makes assessment of life and doctrines of heretical teachers in broader context of Sramarjas-Brahmanas and place of their doctrines in sixty-two wrong views or metaphysical speculations of the time. Critically analyses and knits together the heretical doctrines as a Sramanic stand against Brahmanism. 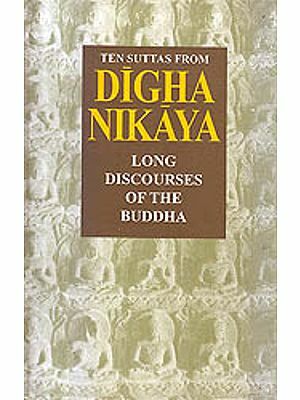 Presents an account of Buddha's teachings and impacts of heretics' way of life and doctrines on the development of his teachings.